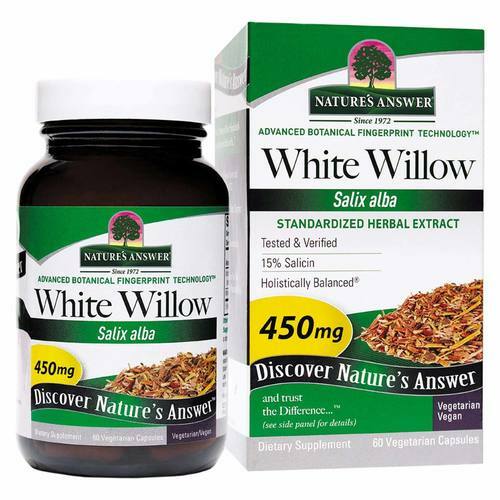 If you're looking for an herbal pain reliever, White Willow Extract by Nature's Answer may be the solution. Willow bark has been used for centuries as a natural pain reliever. The naturally occurring chemical inside, salicin, acts similar to aspirin for headaches and fever. Nature's Answer uses specialized techniques to extract the herb and nutrients so you get the very best. 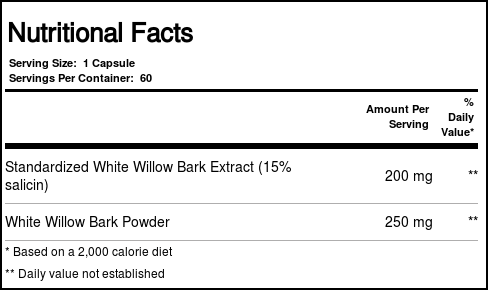 Thus we offer your White Willow Extract the best it can be. 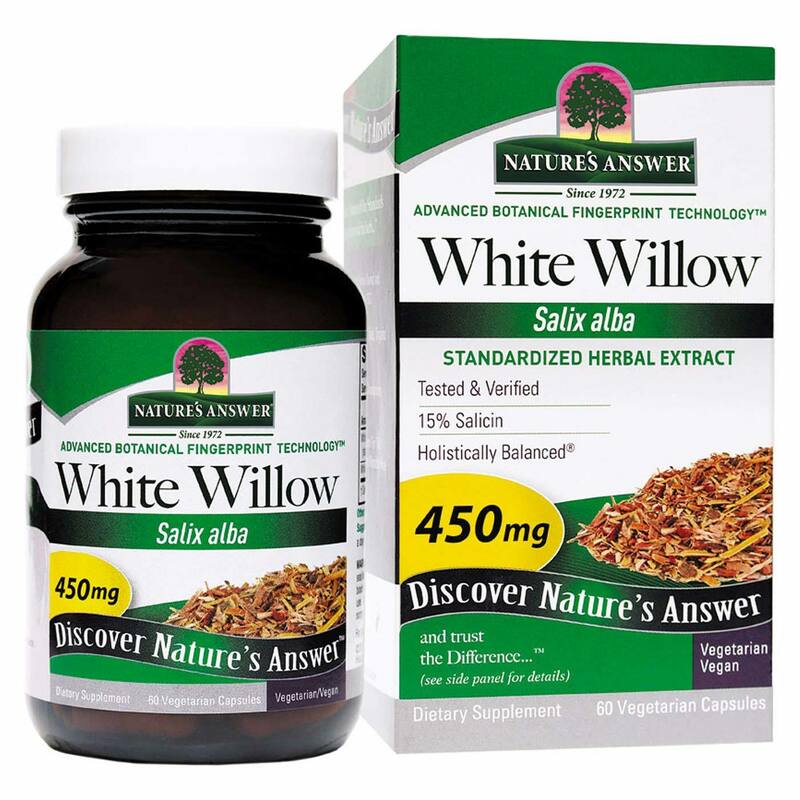 Order White Willow Extract by Nature's Answers for the best price and get natural pain control. Warnings: Keep out of reach of children. If you are pregnant, nursing, taking aspirin or other blood-thinning agents, consult with your healthcare practitioner before use. Discontinue 2 weeks prior to surgery or if upset stomach occurs. Notes: Standardized herb. Vegan. Gluten-free. Cruelty free. 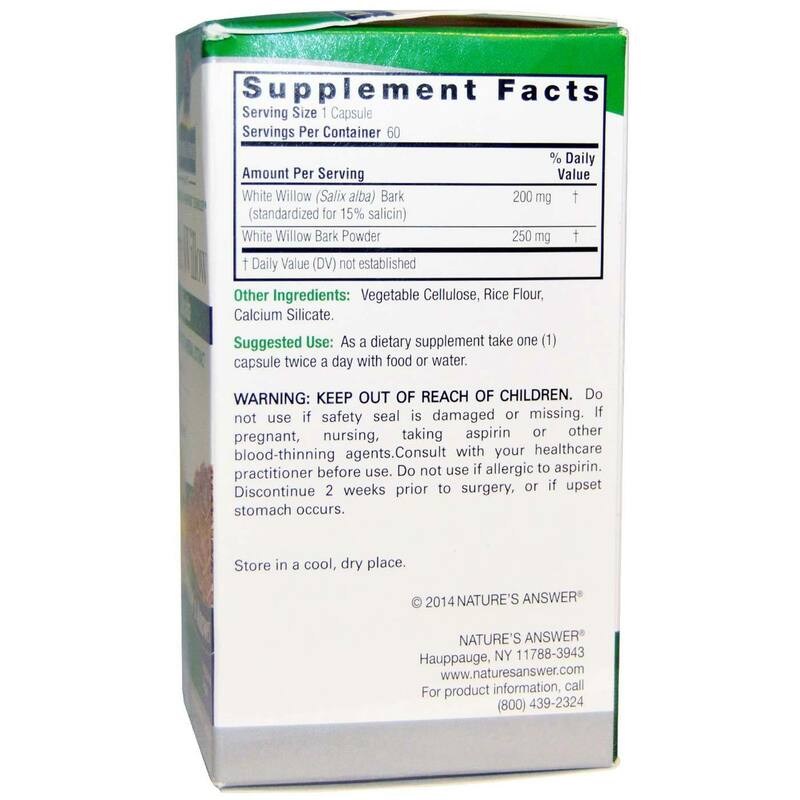 Recommended Use: As a dietary supplement, take 1 capsule twice daily with food or water.